breaks down, causing a gradual or sudden loss of central vision. Is macular degeneration always caused by age? Macular degeneration usually affects people over age 65, which is why the term age-related macular degeneration (AMD) often is used to describe the condition. However, certain drugs can cause macular degeneration, and some cases are inherited, such as Stargardt's disease, which can affect children and young adults. Is it true that macular degeneration is becoming a bigger problem? light in our environment due to a thinning ozone layer, people living longer, environmental pollutants, smoking, poor diet, obesity, etc." Another factor may be our aging population, since the risk for macular degeneration rises with age. Although there are no sure ways to prevent macular degeneration, you should wear eyeglasses or sunglasses that provide 100 percent UV protection and a brimmed hat when outdoors. You should also consider exercising, not smoking, eating a healthy diet that includes plenty of dark green leafy vegetables (spinach, kale, collard greens, etc. ), protecting your eyes from blue light, and visiting your eye care practitioner on a regular basis for eye exams to check for AMD. Who's most at risk for macular degeneration? If you're over age 65, a smoker, white or have a family member with AMD, you have an increased risk for macular degeneration. You're also at risk if you take these drugs: Aralen (chloroquine) or phenothiazine derivatives [Thorazine (chlorpromazine), Mellaril (thioridazine), Prolixin (fluphenazine), Trilafon (perphenazine) and Stelazine (trifluoperazine)]. Is there any way to prevent macular degeneration? Doctors aren't sure how to prevent macular degeneration. Research suggests that ultraviolet light (and possibly blue light) factors into the problem, so sunglasses that block these solar rays might have a protective effect. Exercising and quitting smoking also might reduce your risk of AMD. What are the signs and symptoms of macular degeneration? Early signs of macular degeneration include: straight lines appearing wavy, fuzzy vision, night vision problems, and shadowy areas in your central vision. 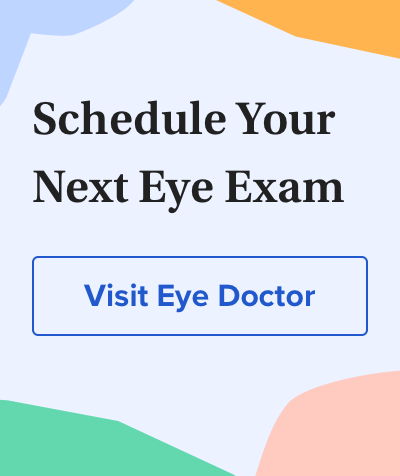 Your eye doctor may find indicators before you have any symptoms, so regular eye exams can mean an early diagnosis. One way to tell if you are having these vision problems is to view an Amsler grid, which is a chart of black lines arranged in a graph pattern. Click here to see how an Amsler grid works. What are the different types of macular degeneration? Macular degeneration is classified as either dry or wet. The dry form is more common than the wet (about 90 percent of patients). It may result from the aging and thinning of macular tissues, depositing of pigment in the macula or a combination of the two. In the wet form, new blood vessels grow beneath the retina and leak blood and fluid. This leakage causes retinal cells to die and creates blind spots in central vision. No, but treatment can slow or even stop the progression of the wet form, so the earlier you're diagnosed, the better. What macular degeneration treatments are currently available? is a type of laser surgery that can sometimes slow vision loss in patients with the wet form of macular degeneration. At this time, there are no FDA-approved medical treatments for dry AMD. However, a number of drug candidates are currently being developed and evaluated in clinical trials. Based on clinical studies that have shown certain nutrients and antioxidants may slow the progression of dry AMD, some eye doctors recommend specific nutritional supplements for people who are either at risk for macular degeneration or have early signs and symptoms of AMD. Patients who have significant vision problems caused by macular degeneration often can benefit from low vision devices to help them read, use a computer and more.